Hiring a trustworthy safe locksmith is the most important thing you can do if you have a problem with your safe. 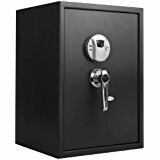 You need to find a company that has been working on safes in your area for many years and has built up a reputation for quality service, affordable pricing, and honesty. Fortunately, you have come to the right place. Our safe opening in NY Metro Are and safe repair has been operating for many years, and we have repeat customers that call us time and time again for any lock issues. If you have a problem and need your safe opened right away, we are the professional locksmiths you need to turn to immediately. When you give us a call, we will dispatch a trained locksmith for safes that will arrive at your business or residence within minutes. He will be able to determine what needs to be done to get your safe opened properly without damage. You will be given an estimate on the spot and will be able to decide whether you want to go ahead with the service or not. All of our professional locksmiths carry a complete set of specialized tools that are designed to get your safe open fast. One of these tools is a borescope that is an optical device with a rigid or flexible tube. Using this instrument, a locksmith can look inside your safe to find out what the problem is. If your safe is broken or you can't remember the combination or have lost your keys, don't despair. Our experts can get it open or fixed in a matter of minutes at a low price. Most of our clients are surprised at our low pricing when compared to other competitors in the area. They also comment on our speed of service and excellent customer support. Don't trust your safe and valuables to anyone other than an experienced locksmith with years of service in the area. Your safe may end up damaged beyond repair. In most cases, a safe can be opened without causing any harm at all or repaired so that it functions properly again. Calling in a locksmith without experience in safes should be avoided at all costs. Even the strongest and highest quality safes CT can break over time. If it does, give us a call right away, and we'll get right to you. We have a lot of experience working with safes in New-York area, and we guarantee all the work performed. Give us a call now at Phone: (718) 445-9200 to find out what we can do for you and how fast we can do it.